Finding myself with a glut of carrots and parsley I decided that the two must amalgamate in the form of a Carrot & Parsley Soup. Parsley is bursting with vitamins and minerals and is particularly beneficial for healthy skin and hair. 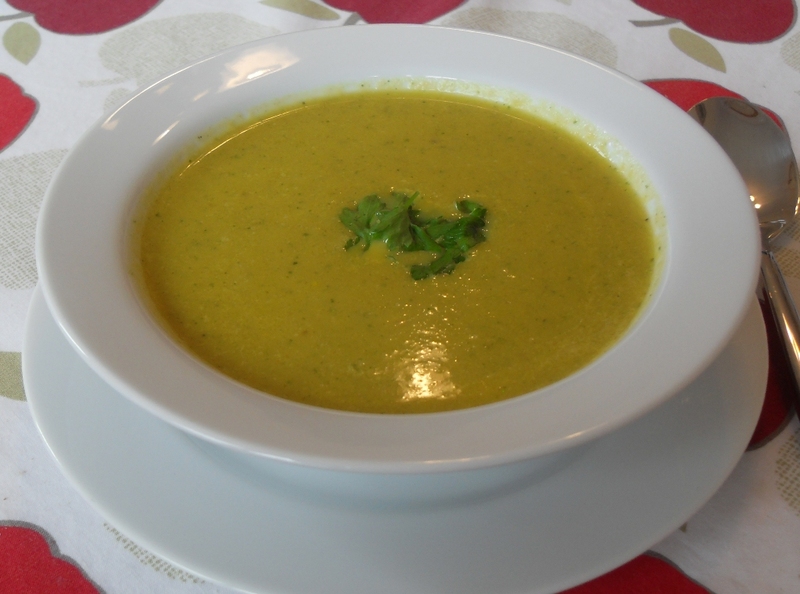 My chief taste tester (my husband) came back for another bowl full at lunch today and said it was as good as his favourite soup – praise indeed. This is my first soup invention and I feel a whole new series will follow! No need to chop the carrots finely as your blender will smooth things out. A delicious mix of carrots, parsley and garlic. In a large pan melt the butter and oil and soften the onion, garlic and celery for about 8 minutes on a low heat. 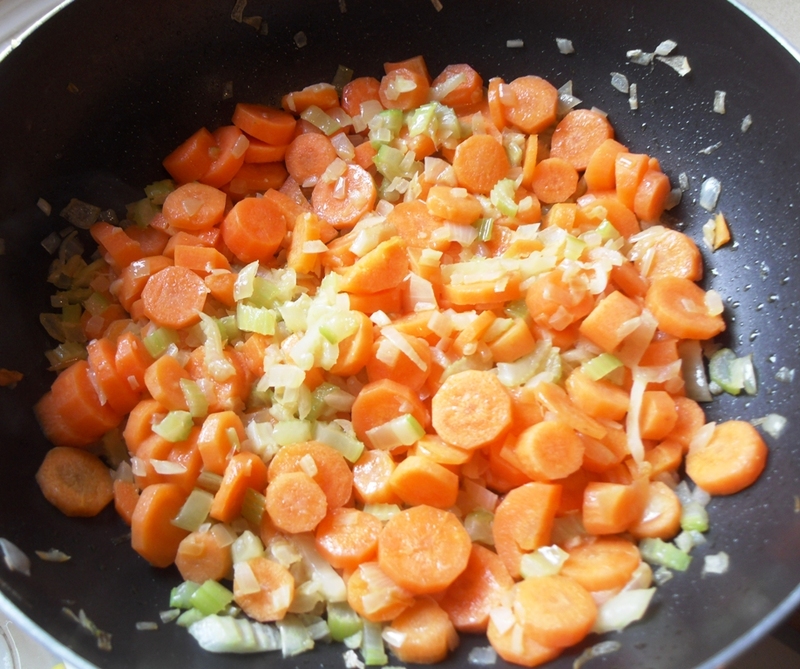 Increase the heat and add the carrots and cook stirring constantly for about 2 minutes. Add the chicken stock, bring to the boil and simmer for about 10 minutes or until the carrots are cooked. Add the lightly chopped parsley and cook for about 1 minute until wilted. Put back on the heat and stir in the milk. Serve garnished with parsley or garlic croutons and plenty of crusty bread. For a change you could substitute the parsley for coriander. Leave it to me to make a healthy soup into not as healthy but boy was it good. After blending and re heating i used cream and cheddar. Yum. 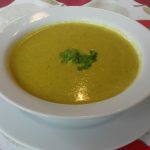 Just made the soup Camilla, as we too had loads of carrots and a huge bunch of parsley (needed a little for a dish the other day and had to buy a lot!). It is absolutely delicious – thank you. As I like to experiment I also added a couple of teaspoons of ground coriander and a chopped up potato. My wife said its the best soup I have ever made! I love carrot soup Camilla. I like fresh ginger, cumin and coriander in mine.